Click on the images or "Download PDF" links below to view the desired catalog in your browser (must have Adobe Reader installed). Considering all we do, you’ll wonder how you ever managed without us. Here’s a checklist of items we need to get started. Summary of the benefits and reasons why people choose Premier to manage their properties. An overview of Premier's Condo Management Services - Considering all we do, you’ll wonder how you ever managed without us. Overview of Premier's Financial Services - At the heart of it all, The Monthly Management Report. 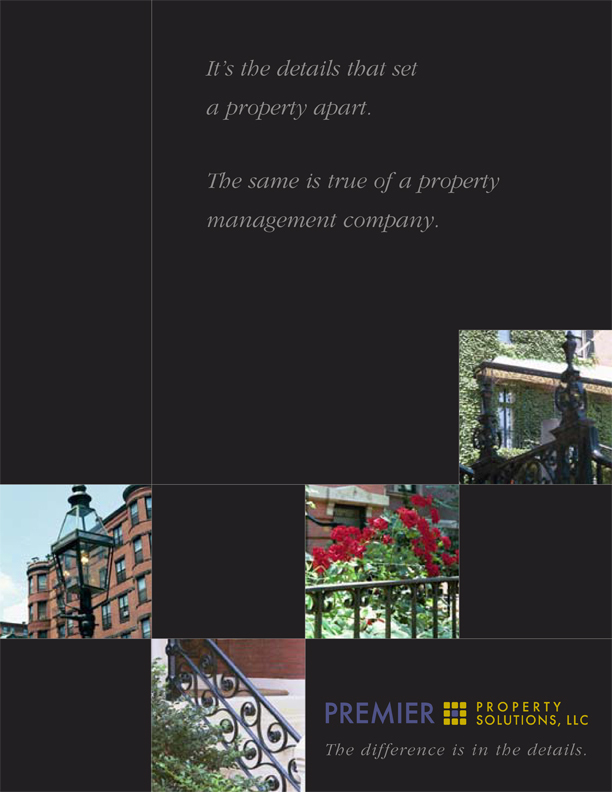 Overview of our property management services including client testimonials.